Working as a Millbrook winery wedding photographer, I’m always amazed at the scenery both large and small in a Hudson valley wedding. 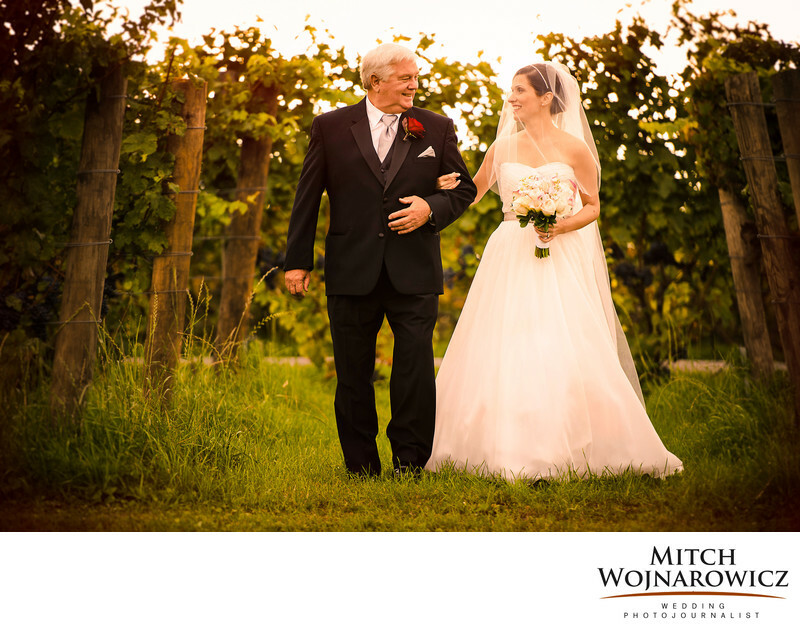 Kara and her dad walk down the aisle through the rows of grapes and vines ready for the Millbrook winery harvest. They share a happy moment together as father and daughter at a wedding. Often, this is the biggest and most emotional moment as the father of the bride walks his daughter up the aisle. I’d love it if you’d consider me as your Hudson valley wedding photographer.